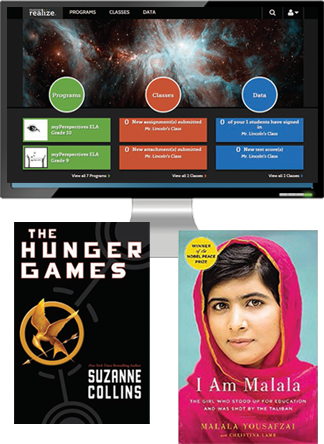 Open a World of Ideas with a 21st Century ELA Curriculum. 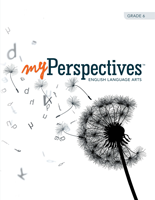 myPerspectives is a brand new English language arts curriculum for Grades 6–12 that values the perspective of the learner, collectively and individually, and provides next-gen learning experiences that promote higher achievement and develop the competencies needed for college and career readiness. Interactive learning blends print and technology in a student-centered, teacher-inspired classroom. This dynamic Pearson program creates an interactive, engaging, and relevant learning environment through readings, meaningful activities, and purposeful performance tasks. myPerspectives encourages social collaboration as well as student ownership of learning through goal setting, choice, and reflection. Cultivate students’ voices and perspectives. 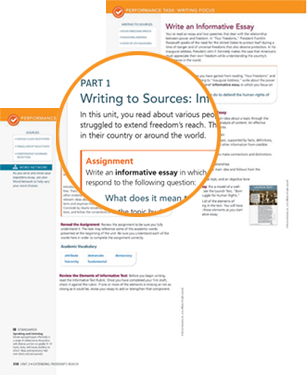 Open a world of ideas using literary and informational texts to prepare students for college and careers. Open Minds. How do you make a 400-year old text relevant? Tie in media, blogs, films, and multimedia. 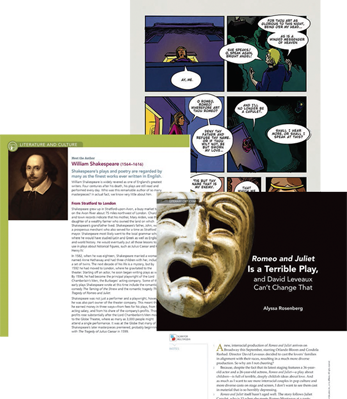 Have debates, explore a graphic novel! 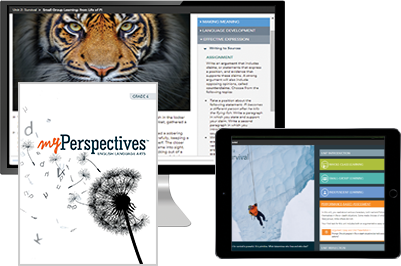 myPerspectives connects to 21st century learners in profound ways. myPerspectives creates a teacher-led, student-centered classroom. The literature gets students excited to read and respond through conversations and writing. The teacher models concepts for the class, then students collaborate in smaller groups on specific tasks. Next, students complete independent work and come back and share their learning. This framework supports and challenges students to become collaborative and self-directed learners. Knowing and using skills are an integral part of myPerspectives. The program is backward designed from standards-based learning outcomes. All activities, instruction, and assessments contribute to students demonstrating their learning in response to an achievable performance-based assessment. Students integrate the knowledge they acquired, apply critical thinking skills, cite evidence, and use effective expression to respond to a complex multi-step writing and/or speaking and listening task. Rearrange content, upload content, add links! Edit resources and assessments. 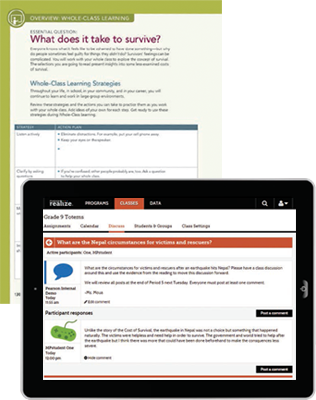 PearsonRealize.com offers teachers flexibility to meet individual goals, styles, and preferences. Extensive resources support, engage, and extend learning.